Why both books in one review? Reason One: Like many sequels, Where She Went is totally spoilery for If I Stay, so it seems unwise to review them separately. What I will do is start with If I Stay, and then I will include a big warning before posting the review for Where She Went. 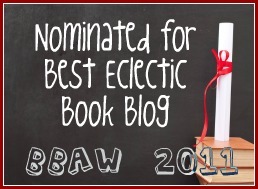 Note: neither review, read separately, has book ending spoilers! Thus, if you would like to, feel free to read the Evaluation Section under each review. Reason Two: And now for something that doesn’t often happen: book two, in my opinion, is actually better than book one, which is already a book you will want to read. Usually it goes the other way around. But you really ought not read book two without book one, so get them both! Seventeen-year-old Mia is not the stereotypical alienated teen. She is very close to her family, and loves to hang out with them. But when they take advantage of a snow day to go for a car trip, they end up in a catastrophic accident. Mia survives – just barely – and is some kind of limbo, detached from her comatose body and able to watch the hospital proceedings around her. And yet she knows her family would want her to carry on. To help her make the decision, she reminisces about her life, and thus we get to know her loving if unconventional family, and her adoring boyfriend Adam. Evaluation: If I Stay is very reminiscent of Before I Fall by Lauren Oliver. I think Oliver does a better job in terms of emotional impact, but If I Stay isn’t really that far behind. Moreover, the characters in If I Stay are likable from the beginning (in fact, they are almost too perfect) , whereas in Before I Fall they need to “grow” a bit; a journey that some readers did not feel inspired to take. Oliver’s prose is less simplistic, but Forman’s, which reminded me a bit of Jacqueline Woodson’s, still packs a punch. STOP! DO NOT CONTINUE WITH THE REVIEW FOR WHERE SHE WENT IF YOU HAVE NOT YET READ IF I STAY, BECAUSE ANY DISCUSSION OF WHERE SHE WENT WILL BE A SPOILER FOR THE FIRST BOOK!!!! Where She Went is told from the point of view of Adam, Mia’s boyfriend in the first book. In If I Stay, Mia miraculously survived a car crash that killed the rest of her family. Her decision to stay alive was made after hearing Adam beg her to stay, vowing to Mia that he would even leave her if it meant she would live. Where She Went begins three years after that moment. Adam is now twenty-one and a famous rock artist, living with a vapid movie star out in LA. It turns out that when Mia left Oregon for Julliard, she inexplicably dumped Adam without a word of explanation. His searing pain ironically is what propelled him to fame, because of the intensely emotional lyrics of the album he wrote after she left him. But he has never stopped loving Mia and thinking about her, and hates his life. He smokes and takes anxiety pills, and quarrels with everyone around him. And mourns, endlessly. The love he had for music is gone. And then finally, they are talking. And finally, Mia tells him why she left him. Evaluation: If this book doesn’t touch you, you might consider redefining yourself as a stone. This book has much more nuance, character development, and more sophisticated writing than the first book. And the rollercoaster of emotions has more ups and downs. On the other hand, the first book has a more interesting premise. In short, they are both definitely worth reading. Somehow I own Where She Went and yet don’t own If I Stay. It sounds like I need to buy and read If I Stay before I read Where She Went. I hope all of that makes sense! I only read the evaluation sections for each review, as I really want to read these books, and they have already been slightly spoiled for me already. I am going to be reading Before I Fall for book club this month, and I have to say that I am really rather looking forward to it. I have heard some really amazing things about that book. These books are also at the top of my list! I read only the Evaluation part of your review and, that alone, hooked me! I haven’t read many reviews of these books and now I’m quite happy about that since I prefer not to know too much about books I really want to read. Your evaluations tell me just enough to know that I want to read these books, particularly Where She Went which sounds very compelling and beautifully written. I guess I am a stone 🙂 I really enjoyed If I Stay, it had me crying like a baby. I was disappointed in Where She Went. I guess I just wouldn’t have made the same choice Mia made. Same here. I thought If I Stay was beautiful and very touching. Where She Went felt more like an unnecessary little quip that was strung out and attached needlessly to the first book. I read both reviews and both evaluations and I still want to read these books. The Library Journal recommends them for ninth grade and up, but my seventh grade granddaughter and I were thinking about reading them together. She’s a mature reader. What do you think? I don’t recall much “explicit” in the books and anyway, I think today’s seventh graders must be pretty sophisticated! I think these would make fantastic books to read for a teen WITH someone to discuss the issues, like about what happens when you die, and what makes life worth living, that kind of stuff. 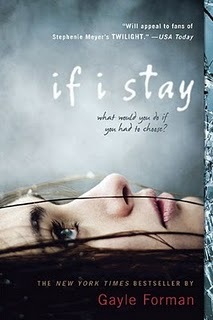 I really enjoyed If I Stay, so I am glad to hear that you liked the second book better. That means I will probably love it! Ironically, given the subject matters, the second book is “darker,” and I think because of that some reviews I’ve seen prefer the first book. But I loved the more-layered characterization of the second. I just saw this author featured in my alumni magazines for the University of Oregon. I was thinking of checking out her books because she is a “Fighting Duck” like me! These both sound like great books. I had not heard of them before. Thanks for sharing. I didn’t want to read the spoilers, so I just read the evaluation…which by the way is very blunt. I must be a stone if these books don’t impact me in some way?! These must be good if not great books. I wasn’t sure about these books when I first started seeing them. But now I think I need to read them. They sound so good. I’m hooked just by looking at the covers… going to wander over to Amazon and see if I can add these to my Kindle. It’s been a while since I read some YA and it would make a welcome change. I am in the final pages of If I Stay now. I have some quibbles with it, so I put it down and now don’t feel like finishing it. So… I didn’t read your review yet. I have to finish it soon though because it’s due! and then – (much like the review book I am putting up today) it exploded and I could not get enough. Awesome. I really liked If I Stay but didn’t really think I needed to read the sequel. Until now! Thanks for making me add yet another book to my wish list!